There’s a lot of talk about the difficulty women face when choosing shoes to match their outfits, but we don’t spend nearly enough time talking about men’s suit and shoe combinations! There are so many shoe options, especially as the rules around formal dress become increasingly more relaxed. If you’re looking to boost your fashion and make a statement, check out this list of our favorite men’s suit and shoe combinations so you can put your best foot forward the next time you suit up. While Converse may be associated more with a laid-back vibe, they can also be used to add a touch of cool to your formal suit. Pairing your black slim-cut suit with a pair of black Converse is a great way to add some personality to your look. 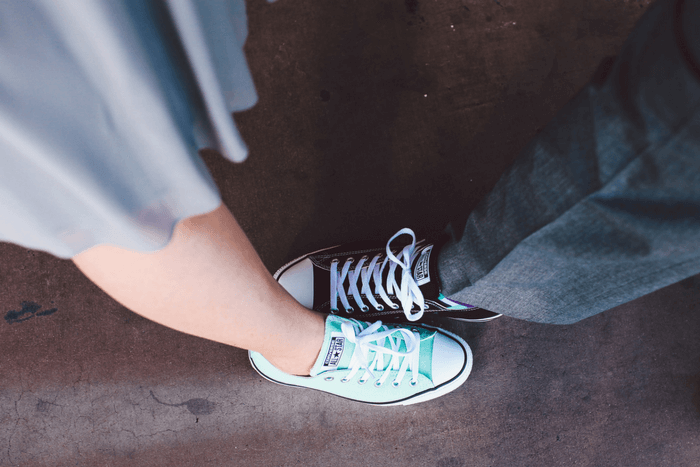 We don’t recommend such an irreverent look for black-tie events, but for formal-yet-fun occasions like prom, black Converse can be just the thing to make you feel cool and comfortable. If you’re going to a more casual event, try pairing your tan, grey, or navy suit with your favorite sneakers. Here, we’re talking about your clean, fashionable sneakers, not your running shoes! While the same color rules should still apply — black or brown with navy or grey, or brown with tan — there’s room to have a little fun here. To add a bit of extra flair to the look, switch up your shoelaces to match your tie, bowtie, or pocket square. We promise you will be the envy of every guy in uncomfortable oxfords! If you’re not ready to experiment with the style of shoe you wear, you can also mix up your fashion choices a bit by trying a more interesting dress shoe color. Burgundy or oxblood are great go-tos for something that adds pop without making you feel out of place. Make sure to match them with a grey or charcoal suit. Instead of super formal dress shoes, pull out your middle-of-the-road loafers. 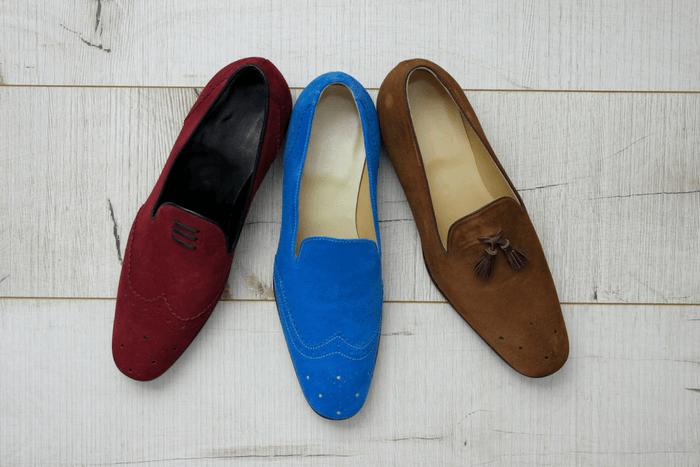 Loafers are a little more casual but are acceptable for many formal occasions. Because they’re slip-ons and cut a bit lower than other dress shoes, make sure your sock choice is on point. Loafers also give you a little more room to express yourself, as there are a few styles to choose from. Options can include penny loafers, tassel loafers, or horsebit loafers if you like a little hardware. If you like preppy style and you’re planning on mixing and matching your suit a bit — let’s say a classic tan or khaki pant with a navy or colored jacket — the oh-so-casual boat shoe would complement your look. No matter what shoes you want to rock to your formal event, Jim’s Formal Wear has the perfect suit to match. Browse our suit and tuxedo options today!